Our health depends on how we conduct ourselves, what we eat, what we drink. …Alcohol has compromised a lot of health in Uganda today. A nationwide study by the World Health Organisation in 2016 found 10% of Uganda’s adult population have problems related to alcohol. Excessive alcohol consumption can be a contributory factor to diseases such as cancer, mental illness and diabetes, as well as accidents, domestic violence, and other detrimental effects on family life. 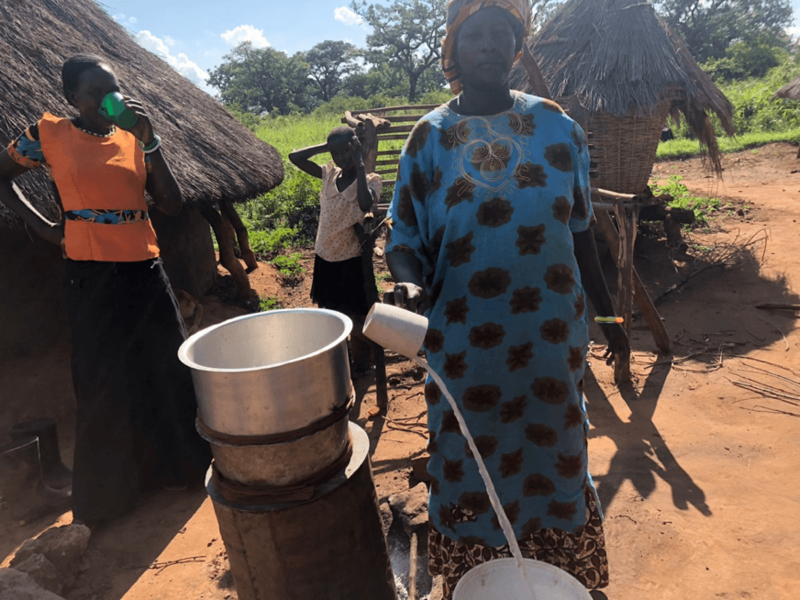 The drinking habits of some people in my chosen fieldsite, a low-income area in Kampala, are both a cause and consequence of socioeconomic problems in the home and beyond. Drinking for leisure has long been ethnographically recorded as part of everyday life in Kampala (Southall and Gutkind, 1957: 22; Wallman, S and Bantebya, G 1996: 83). Today, gathering points are centred around bars serving home brews, waragi, ‘war gin’, or ajono, millet beer, and branded beers, whisky and gin. Groups of men, and a few women, sit around a large shared pot with long drinking straws. It is a chance to laugh, relax, tell stories and bond; what one community leader termed a “narrative exchange of ideas”. 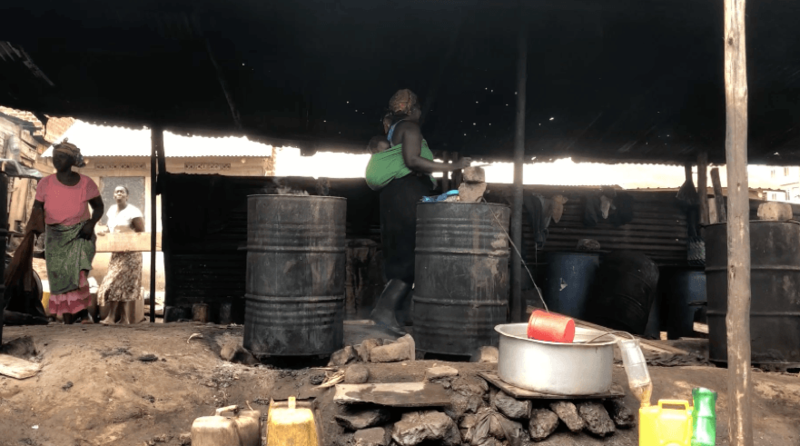 The home brews also offer an opportunity for women to make an income; small factories like those photographed below can be found across the country. Their husbands drink. They don’t even help them. They just take. Now their place they call it ‘jobless corner’. Even those who are working, who work at night, they come very early in the morning to go and join them. So the little money they make from work, they spend it on drinking. In some families, alcohol is bought at the expense of children’s education, further perpetuating the inaccessibility of employment. Laura Haapio-Kirk’s recent ASSA blog post examined the paradoxical relationship between overworking, stress and health in Japan. In Uganda, it is the absence of formal work opportunities which perpetuates a cycle damaging to personal, familial and communal health. Southall, A and Gutkind, P (1957) Townsmen in the Making: Kampala and its suburbs, East African Studies. East African Institute of Social Research, Kampala, Uganda. Wallman, S., Bantebya-Kyomuhendo, G., 1996. Kampala women getting by: wellbeing in the time of AIDS, Eastern African studies. James Currey ; Fountain Publishers ; Ohio University Press, London : Kampala : Athens.